This post is sponsored by JTV. I was paid for this post and received JTV jewelry pieces as compensation. All thoughts and opinions are my own. As I have grown up, I have come to really appreciate authentic jewelry. There is just something special about knowing that what you are wearing is real and it is quality. That is why I have been a fan of JTV for many years. 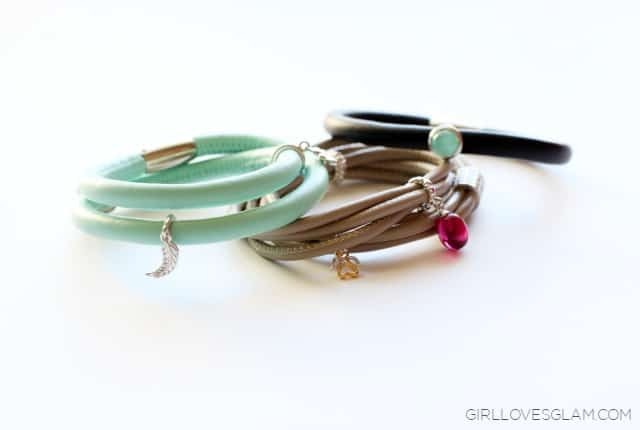 It is jewelry that I love, quality that I want, and at prices that I can actually afford! Mother’s Day can be a really beautiful day for moms, but it can also be a hard day for moms. I know the moms who struggle with this day struggle for different reasons. 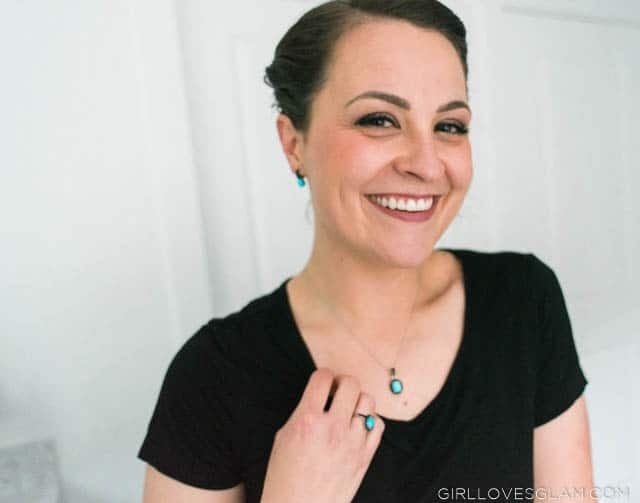 Some feel like it is a frustrating day because they feel unappreciated every other day of the year, others don’t feel like they deserve the praise they receive on Mother’s Day. Me? I love Mother’s Day! I have always loved celebrating the moms in my life! I love calling my grandmas to wish them a happy Mother’s Day and spoiling my own mom. Now that I am a mother, I appreciate having the one day that I feel like a rock star. It doesn’t happen often, so I enjoy embracing it! I think all moms should learn to embrace Mother’s Day. It wasn’t created to make moms feel bad about themselves. That is quite the opposite! This year, I wanted to do something extra special for my mom. 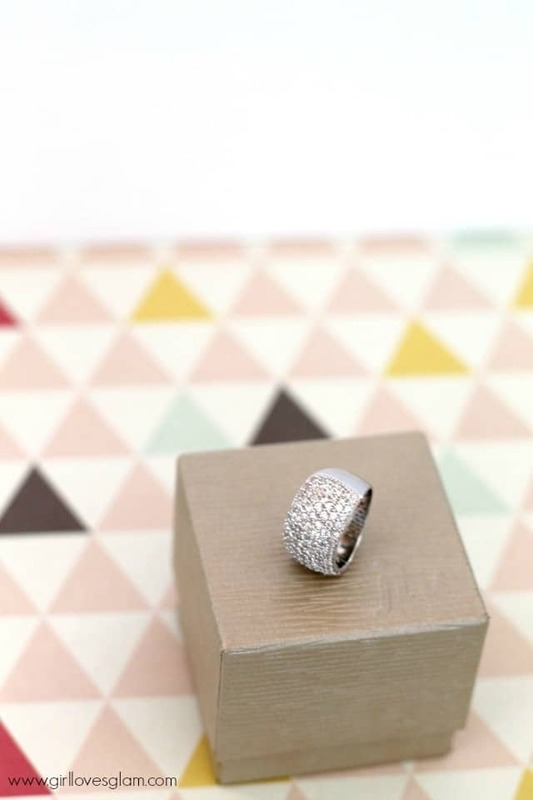 That’s why I teamed up with JTV (Jewelry Television) and I am giving her this beautiful ring for Mother’s Day! That sounds really cool, right? Well, it is even more special because I got one for me too! I think it will be a pretty special gift knowing that we both get to experience motherhood together. It is kind of a symbol of that. 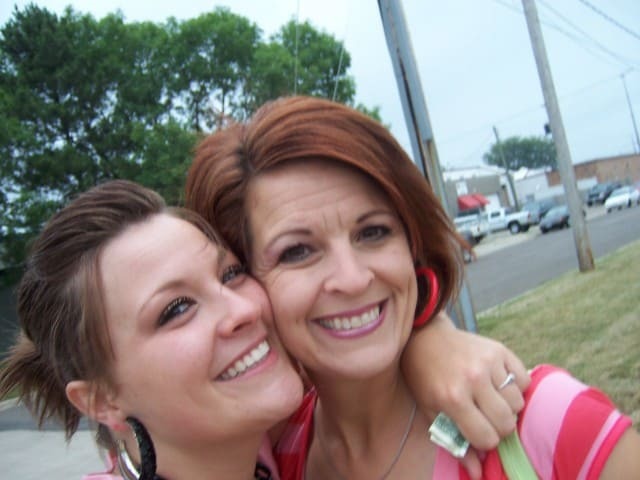 My mom has always been there for me. She has literally seen me at my best and at my worst. I call and text her constantly asking for advice with my own experiences I am having as a mother. I think these rings will be a symbol of that. 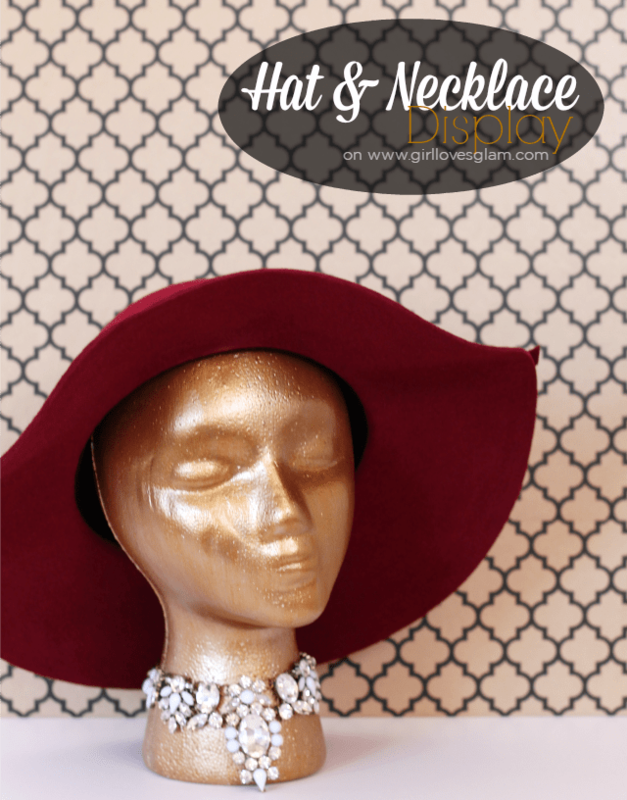 I was challenged by FloraCraft® to come up with a way to use one of their foam heads. I really wanted to come up with something that wasn’t Halloween related and this is what I came up with! I am a sucker for online shopping. There is just nothing that beats spending money while sitting on the couch in pj’s! The other bonus about shopping online, is the mail! I love getting packages in the mail! Today’s what I wore post is all based on my love of online shopping! Now for these amazing shops… First, let me tell you about Swagger. 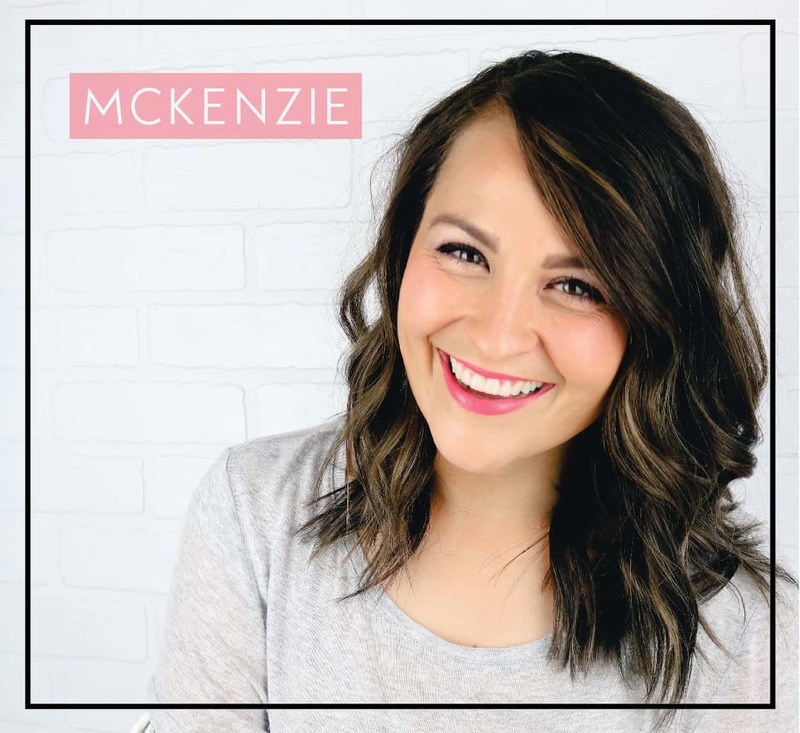 It is a local boutique in my area, but they also sell online through their Facebook and Instagram page. I own a few pieces from there and I am obsessed with them all! This sweater is probably my favorite though. I love the different colors and the stripes! Next, is the Apple of My Eye necklace. This thing makes a STATEMENT! It is huge. I feel like I can wear it with absolutely anything! 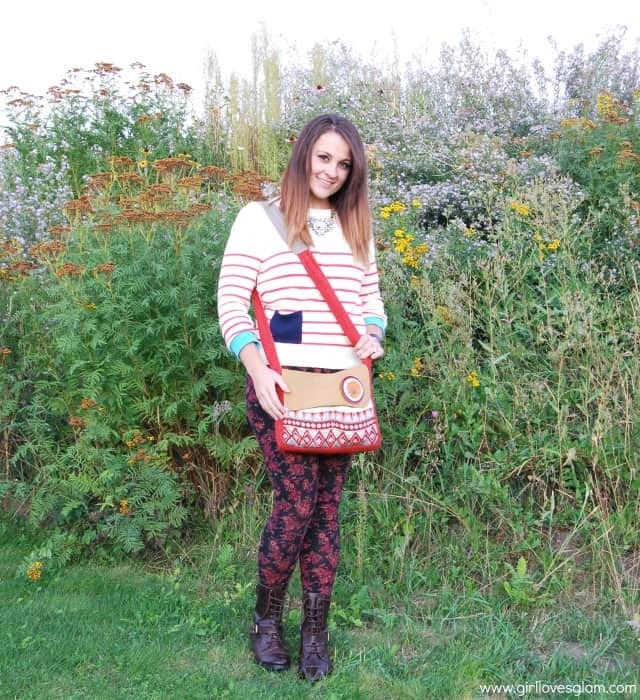 The bag is from Sage and Harper! Can I just tell you that I have been DYING, like literally dying for a Sage and Harper bag? They are amazing. They are handmade goodness. I can’t even tell you how immaculately made they are. The leather is exquisite and the fabric is perfection! Words can’t describe the perfection that is Sage and Harper. They are taking over the world, one fabulous bag at a time. 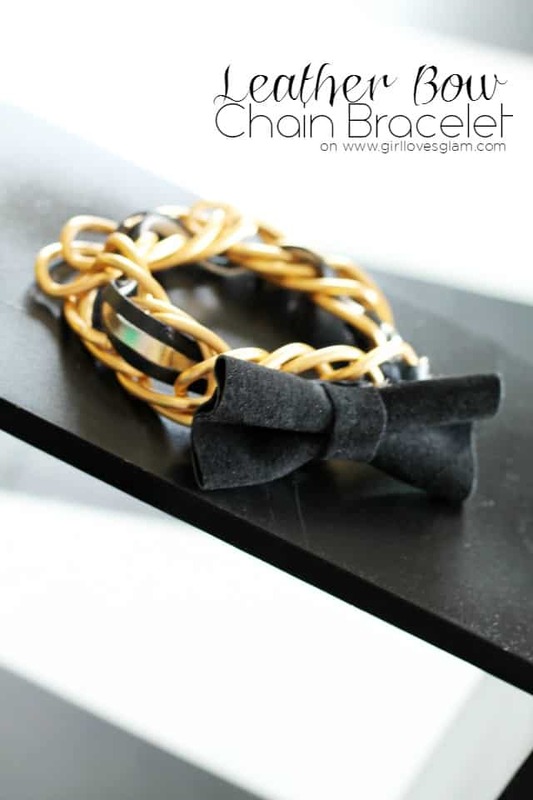 They are even giving my readers a 20% off discount on their bags when you use coupon code, GIRLLOVESGLAM20. Now for the cuffs. They are from One Little Momma! 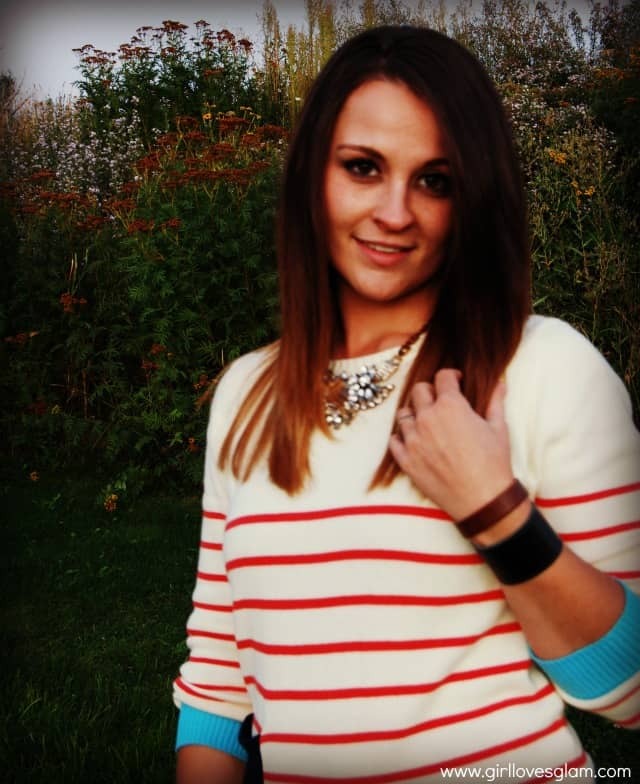 I love her blog and when I met her at Snap this year, she gave me the brown cuff. Now, she has an Etsy shop full of cuffs, including the thick, black cuff that I wore too! She has a separate Etsy shop too called One Little Belt that is full of baby and toddler belts that are to DIE for! What are your favorite online shops? I would love to hear about them! 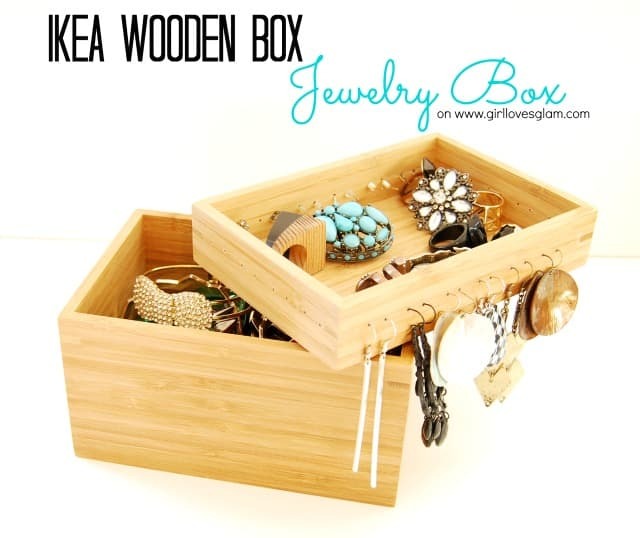 Ikea Wooden Boxes… Three Ways! Have you ever looked at a typical item at the store and thought, “Hey! I can do something special with that!” like some of we crazy bloggers do? Well, Studio 5 gave me the challenge to do JUST that with an Ikea item of my choice. 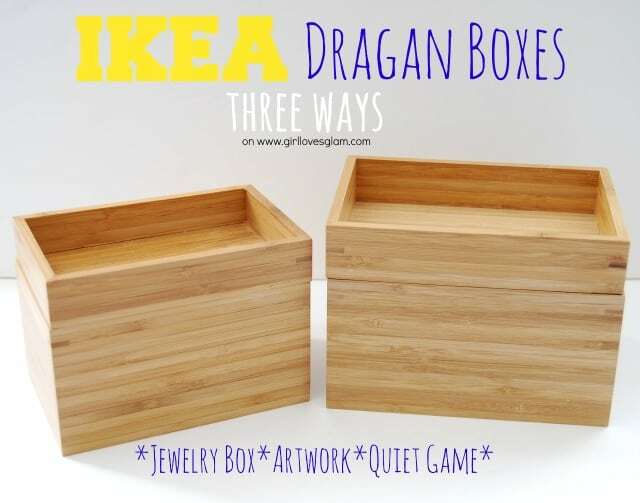 I chose the Ikea Dragan wooden bathroom boxes. I knew there was a lot of potential! 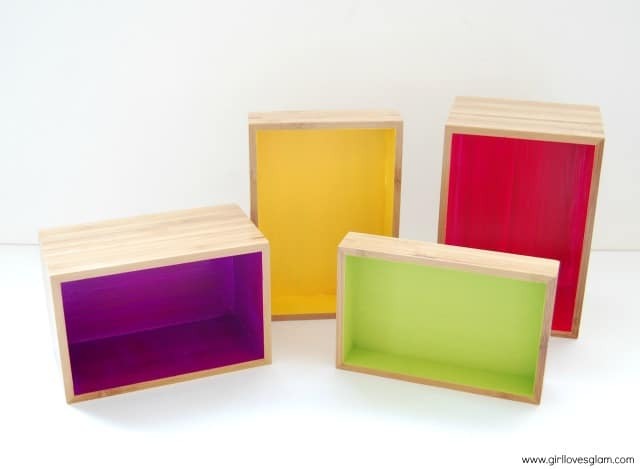 I came up with 3 different things to do with these awesome boxes! Just wait til you see what the other bloggers who took this Ikea challenge came up with too! 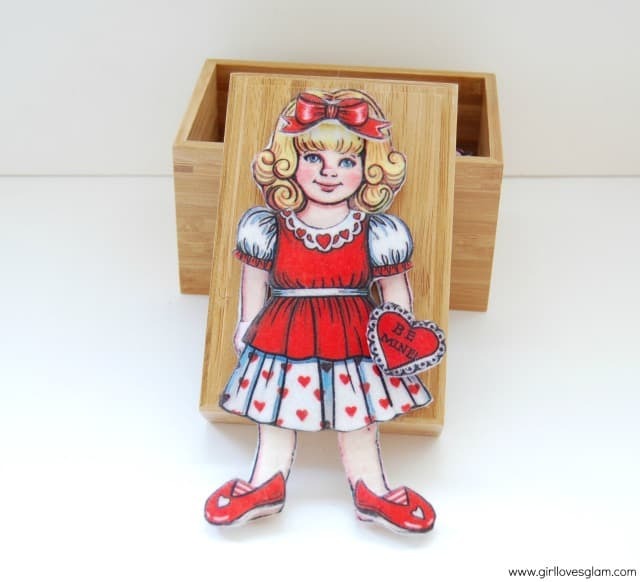 First up for me… A jewelry box! 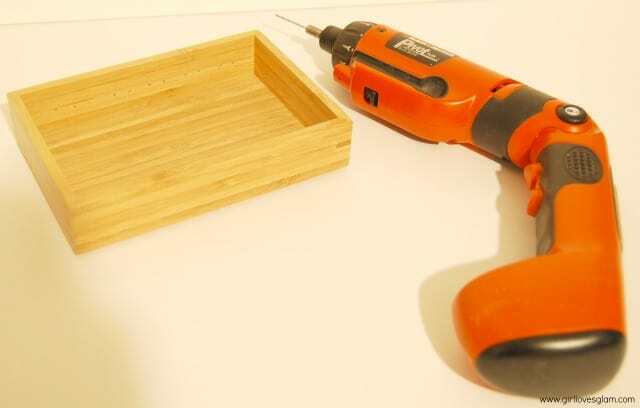 Use a small drill bit to drill holes into the sides of the lid of the box. Do them in pairs. These will be the holes for the earrings. I put holes in all four sides, but only recommend putting them in 2 sides. 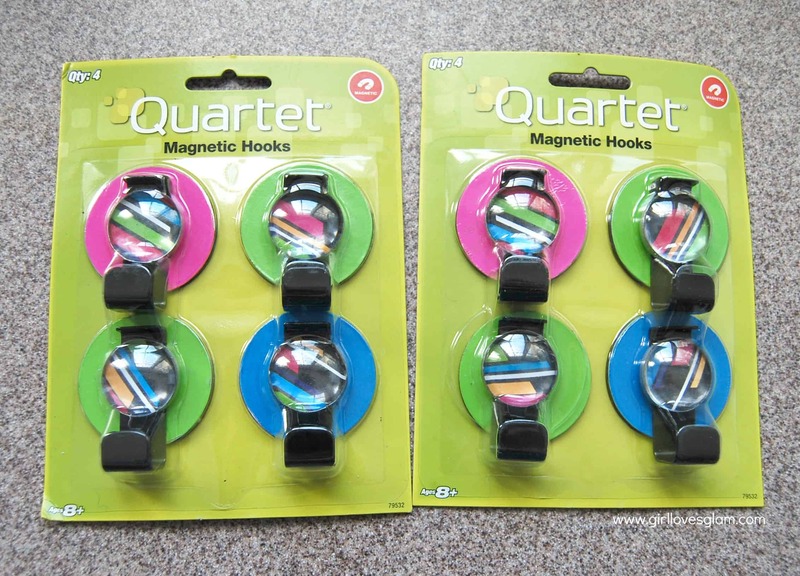 Having earrings on all four sides made it hard to put the lid back on the box. Now put earrings in the holes that you drilled. 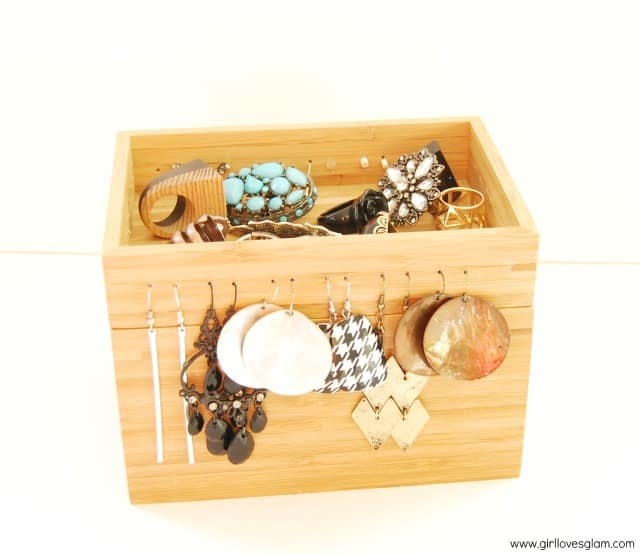 Put rings in the lid and bracelets in the box! 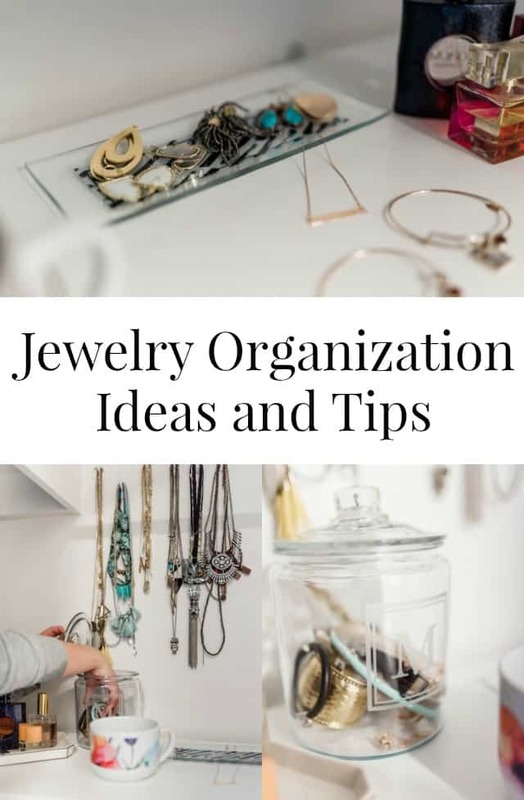 I chose to put some of my favorite items and other items that I forget to wear so that I can see them and get to them more easily! 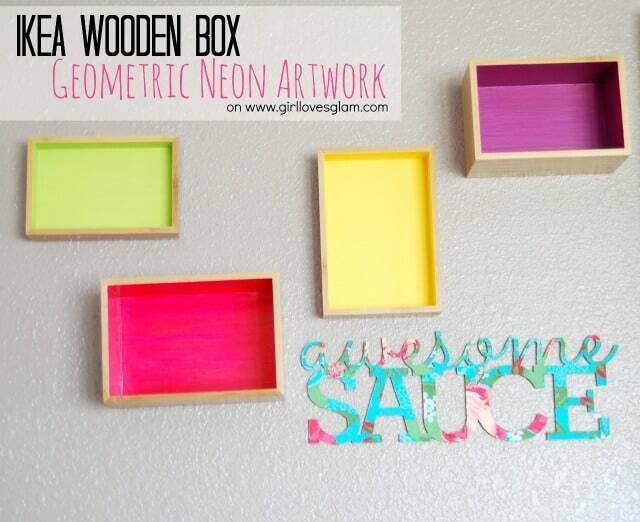 Take your neon paint and paint the insides of the boxes. These took quite a few coats of paint. Then take the Command Strips and stick them to the back. Stick it to your wall in whatever order you want them to be in! Even better? Add a cute Salty Bison sign next to them. Amazing, right? Now for the last one… The car quiet game! 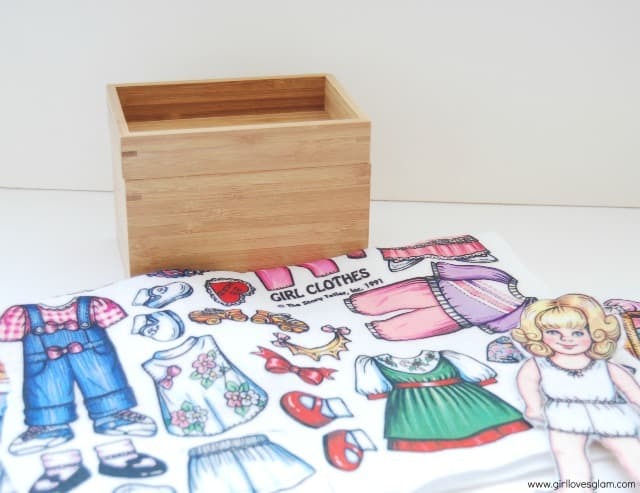 *Dress up doll- I got my dress up doll kit at a yard sale, but you could buy your own or even use pictures of your family members and cut the heads, bodies, and legs apart that you can mix and match. 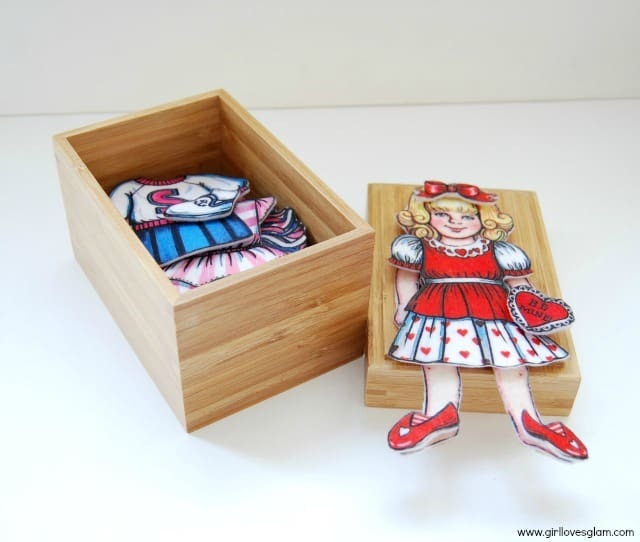 Cut apart your dress up doll and add Velcro to each of your pieces. Put a piece of Velcro on the bottom of the lid and one on the back of the doll to stick onto the Velcro. This is so that you can take the doll off and play with it anywhere! Now it is the fun part. Dress the doll up however you want! The really awesome part? 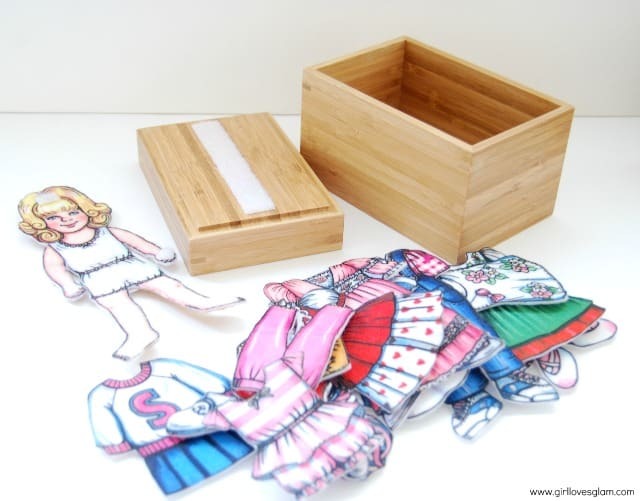 You store all of the dress up clothes in the box and close the top of it to store in your car for the days your kids are in need of some entertainment! Remember that awesome April Showers Bring May Flour giveaway I did last week? 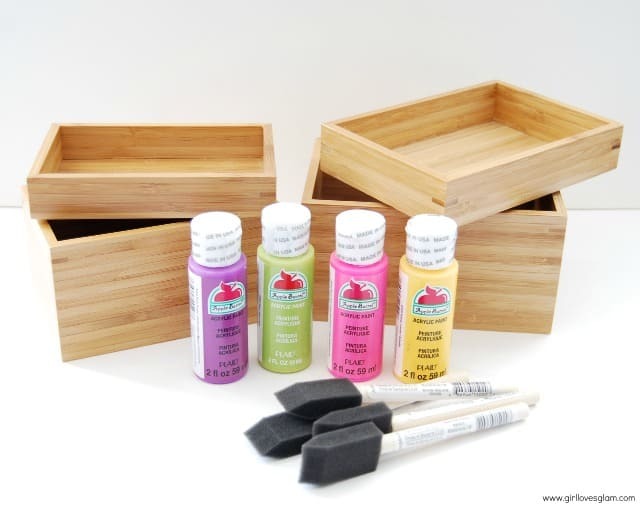 One of the sponsors of that giveaway was Deco Boards Unlimited. I knew instantly that they were a company out for an organized girl’s heart like mine. They have beautiful dry erase, cork, and magnetic boards that can all be customized and keep you well organized! When they offered the chance to try out one of their boards, I was thrilled! I ordered one of the galvanized steel boards that you can write on AND are magnetic! I loved the look of it, but wasn’t quite sure where to put it in my house that is already full of boards and lists. I decided to do a little something different with it. 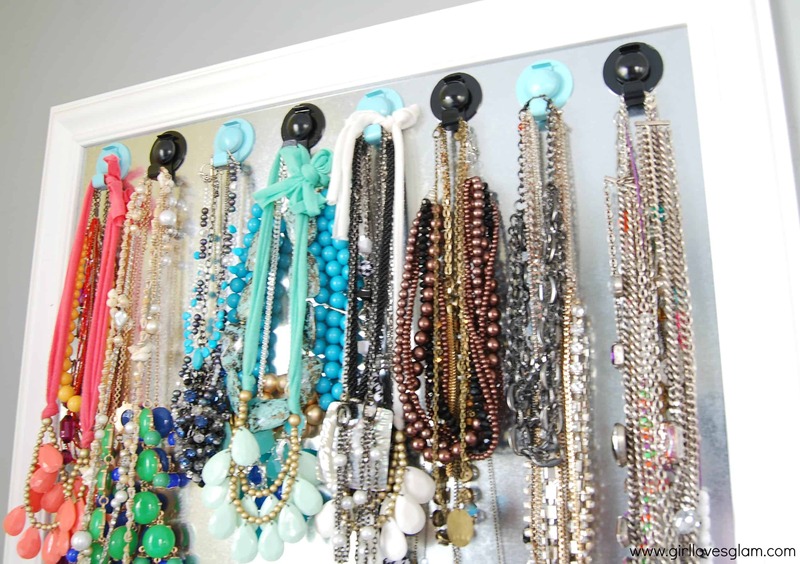 I turned it into a jewelry hanger organizer that I could hang up all of my necklaces on! I love how it looks and how portable it is! Also, another great part about it is that the hooks are just magnetic. 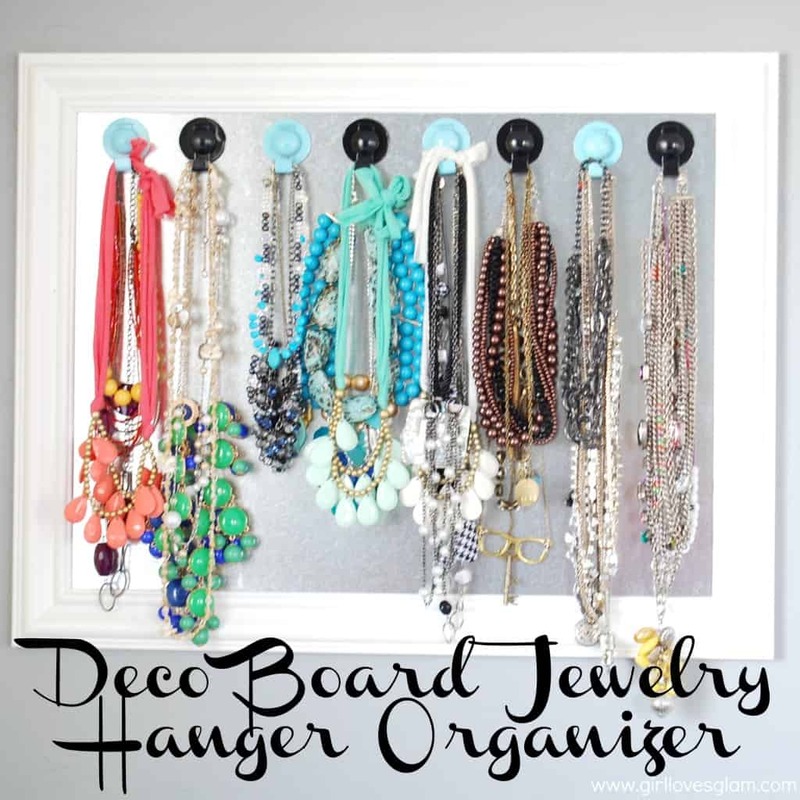 That means my Deco Board doesn’t always have to function as a jewelry hanger. I bought magnetic hangers from Walmart. You can find them over in the office supply section. They aren’t cute, but they work! Then I spray painted them so that they would match the decor of my bedroom. I put all of the magnets up and hung up my necklaces and just stared at its beauty! Seriously though, I woke up several times that first night and just looked at how pretty it was! I love how the steel looks behind the necklaces and the pretty white frame that goes around it all. I am basically obsessed! I received the Deco Board from Deco Boards Unlimited, but was not compensated for this post. All opinions are 100% mine! I link to these great link parties here.